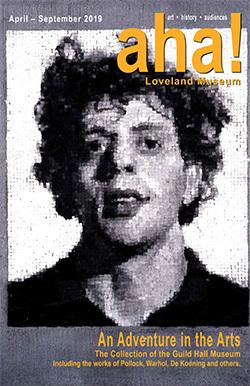 The Loveland Museum currently has three art galleries with exhibits changing approximately every 8-12 weeks. Our goal with our art schedule is to provide exhibits that inspire Loveland residents and visitors with a varied and challenging artistic experience. Take a journey back in time! The Loveland Museum exhibits Loveland's history through several world class displays including Life on Main Street, Mariano Medina's Cabin, Great Western Sugar Factory, Colorado-Big Thompson Relief Map, Sweetheart City USA, the Proctor Alabaster Shop, the Loveland Fire Department and the Fireside Gallery. The Loveland Museum offers a variety of art classes for tots, youth, teens and adults. These classes allow students the opportunity to explore a variety of mediums with our talented instructors. No previous art experience is required as the classes are taught to all skill levels. Unless specified, all supplies are provided for each class. Members save 20% on their class registrations too! Consider becoming a member today. The Loveland Museum provides many events and community celebration opportunities. Each year, we offer the Foote Lagoon Summer Concerts, the Cherry Pie Festival, and the Halloween Family Fun Festival. Other special events relating to art and history exhibits are offered from time-to-time including our new "Explorer's Club" for kids. 2019 Spring Summer AHA! Brochure Available Now! Loveland is known as an art town and that is reflected in your Museum—changing art exhibits that invite you to visit often to see what’s new. However, the Museum’s roots are in Loveland history—and its importance has not waned. We are both a history museum and an art museum. In the past, the design of our history exhibits has not been conducive to larger-scale changing exhibits (as we have for the art section), providing little opportunity to share the 35,000+ objects in the historic collection. Thanks to a recent remodel that’s no longer true. I’m pleased to introduce the new Dunning Gallery, a project by Curator of History, Jennifer Cousino, to provide more opportunity to share history. The Fireside Gallery name is being replaced by the Dunning Gallery, in honor of Harold Dunning, who started the historic collection in the 1930s. The first exhibit in the new gallery opens in April, featuring a variety of quilts and related objects drawn from the historic collection. Please join us for the Opening Reception on Friday, April 12, 6 – 8 pm. Visit our Museum Calendar to view our full calendar of events.